Bangalore has grown as a metropolitan city and has a lot to offer its inhabitants. Being the largest IT hub in the country and sprawling with high-end education institutes, IT/ITeS, better job opportunities and modern-day living, the number of people making Bangalore their new home and investing in properties is high today. Studies have shown that the real estate market in Bangalore has had a stable platform over the past couple of years and the same can be expected in the years to come. With real estate giants now catering to the needs of one and all, Bangalore is the new hot spot for short-term and long-term investors. North Bangalore is one of the ideal locations for long-term investment today as it offers efficient connectivity through the Outer Ring Road (ORR), feasible access to all kinds of public transport, business centers and more. High-end profits is something that investors will surely gain when investing in North Bangalore. 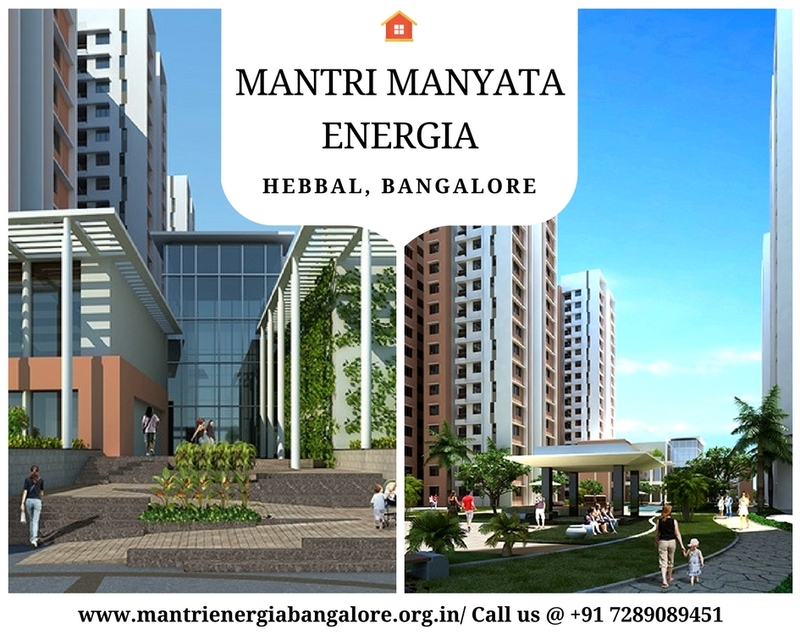 Mantri Manyata Energia is a new residential project by Mantri Developers Pvt. Ltd. that is strategically located at Hebbal Manyata Tech Park, a popular location in North Bangalore, this residential development offers easy access to a number of places like schools, institutes, malls, shopping centers, cafes, multiplexes, restaurants, banks, ATMs, medical centers, hospitals, flyovers, public transport and more. With fast connectivity to other prime areas in the city, this development offers ample convenience that will truly satisfy your needs every day. When residing in this development, you can travel less and save time for the things in life that really matter. Experience a new level of convenience that is bound to delight! Established in 1999, Mantri Developers Pvt. Ltd. is a major player in the real estate market today that focuses on high-end development and modern-day living in residential, commercial, retail, hospital and education sectors. Catering to multiple needs, requirements and taste, this real estate giant has development spread over a total 20 million sq. ft. that offers premium quality, distinguished designs and consumer-friendly residential, commercial, hospitality, office spaces and others as well. The innovative creations and affordable pricing offered by Mantri Developers Pvt. Ltd. has turned it into one of the most loved and preferred real estate companies in the country today. Today, this real estate company has entered the international markets in counties like USA, Dubai, Singapore etc. There is a lot to look forward to as Mantri Developers plays a vital role in the real estate market today.